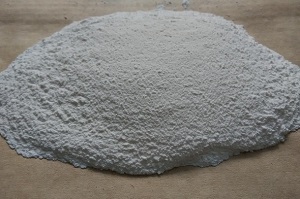 This product, mainly contained Nitrogen and Phosphorus, is a kind of halogen-free flame retardant for polyolefin, especially for PP. PP with the flame retardant can pass the tests of UL94 V-0(1.5mm) 70℃*168 hours water-immersion(UL746C) . Otherwise, the modified PP can pass glow-wire test and GWIT 750℃&GWFI 960℃. Moreover, it is free from the restrictions of ROHS Directive 2002/95/EC approved by the EU and the Council. No water-sliding during the process of extrusion. And no anti-dripping agent. 1. Low dosage.（20-25% can reach UL94 V-0 3.0mm；35% can reach UL94 5VA）. 3. When extrusion with PP, no water-sliding, with good water-resistance. 4. FR with PP can pass GWIT 750℃.